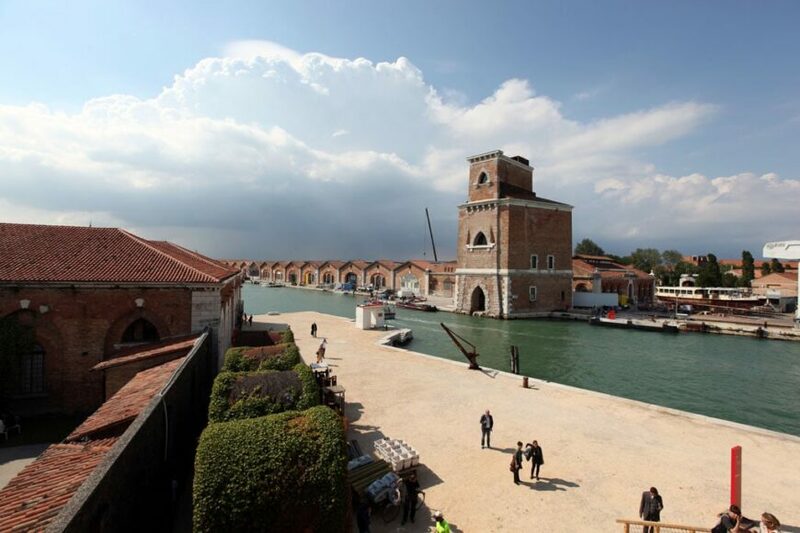 Together with the Giardini di Castello, the Arsenale of Venice is one of the two main exhibition venues of La Biennale di Venezia. 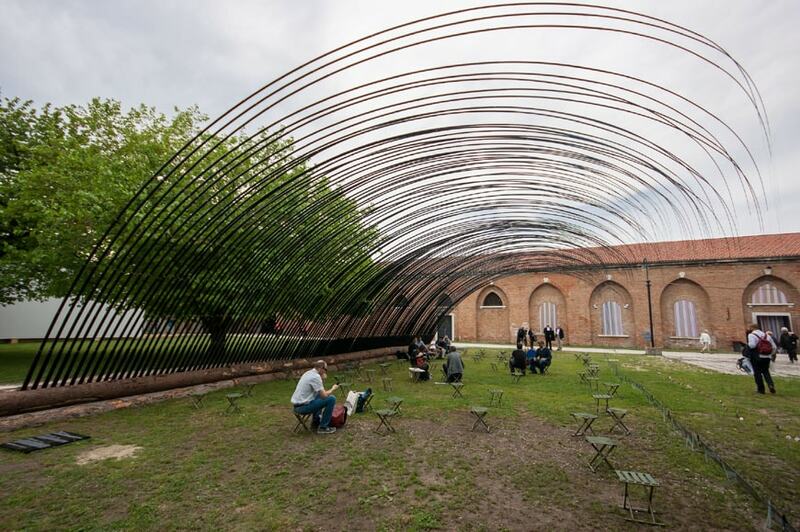 Every year, the Arsenale accommodates one main event, alternatively the Art Biennale and the Architecture Biennale, which are widely considered among the most important exhibitions in the World in their respective fields. The Arsenale is located in a disused part of the ancient military dockyards of Venice, which date back to the 13th century, Since 1999, due to the increasing success of the Biennale’s exhibitions and the short additional space available within the historical site at the Giardini, the Arsenale has been partially converted into an exhibition venue managed by the Venice Biennale. Yet, a large part of the site is still in use as a military compound of the Italian Navy and it is not uncommon to see modern battleship lying at anchor near contemporary artworks and installations. 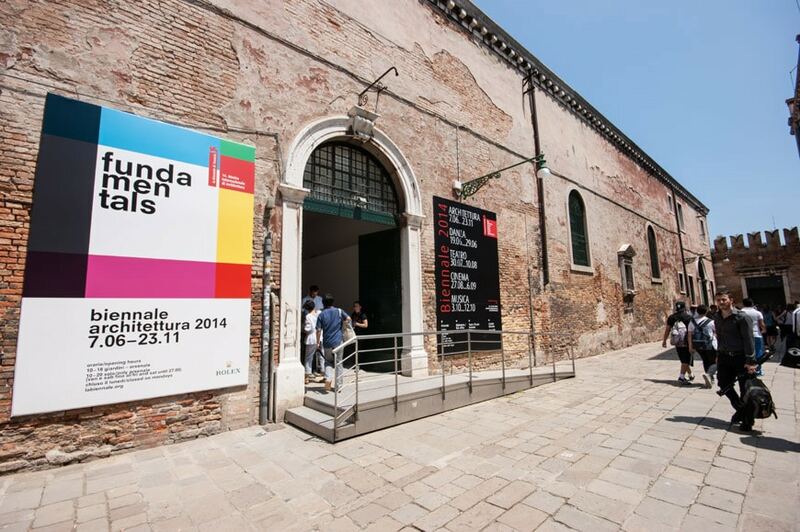 Today, the area occupied by the Biennale extends on a total surface of 50,000 sqm, 25,000 of which indoor. The complex is about a fifteen minutes’ walk from St. Mark’s square. Various buildings form the Arsenale complex. The “Corderie” (rope-walks) is an imposing 316-meter-long uninterrupted space; the “Artiglierie”, the Tese”, the “Gaggiandre” – designed by Jacopo Sansovino – and the “Giardino delle Vergini” (Maidens’ Garden), a relaxing green area with a pleasant open-air cafe, are also part of the exhibition site. Almost all these ancient industrial buildings are left in a partially-restored state, thus creating a fascinating contrast between the contemporary artworks and architectural exhibits on show. 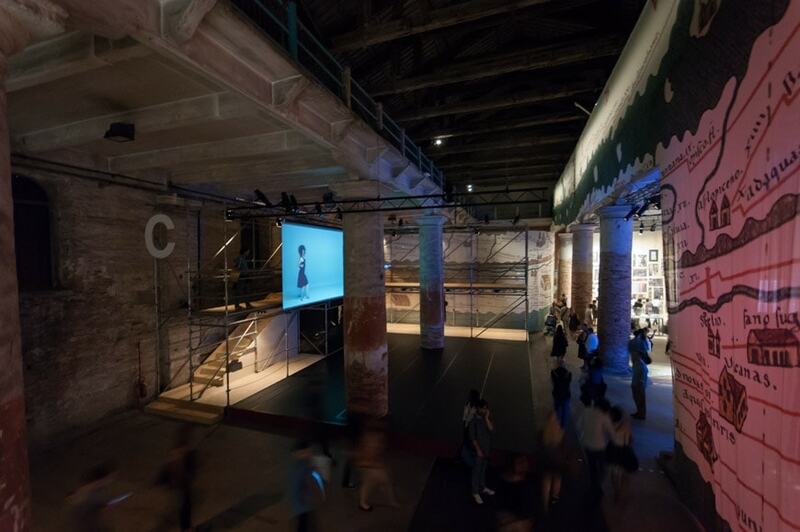 During the Biennale, one of the two curator’s exhibitions and many national pavilions – including those of Italy, of China, and of various African, Asian, and South American countries – are located here. 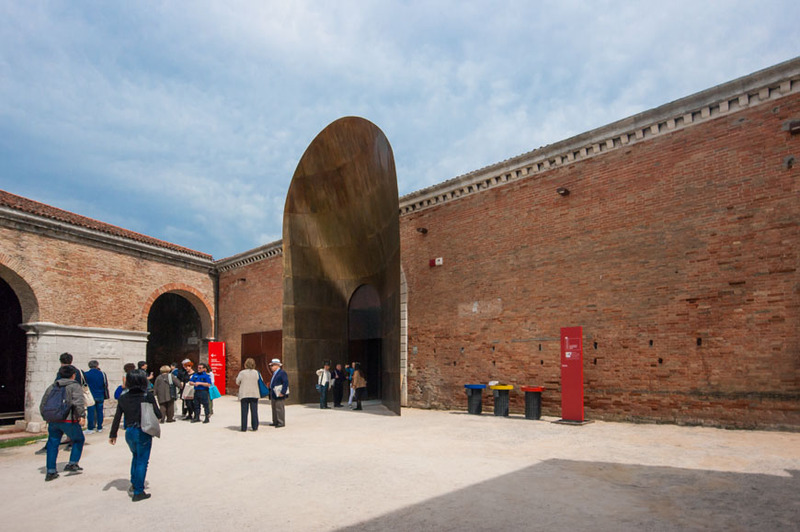 The Arsenale includes three cafeterias, a bookstore, and a gift shop; the complex is accessible by disabled persons, a free service of electric taxi transport is also available for people with impaired mobility.